NEW YORK (June 26, 2014) – Van Gogh Vodka has shown its “true colors” beyond the flavorful line of vodkas by being a proud partner of the True Colors Fund since 2011. As a supporter and advocate of gay rights, Van Gogh has had a consistent role with the advocacy group, creating a vibrant campaign within this longstanding partnership. Co-founded by Cyndi Lauper, the True Colors Fund is a nonprofit organization that encourages everyone, in particular the straight community, to get informed and get involved in advancing lesbian, gay, bisexual and transgender equality. 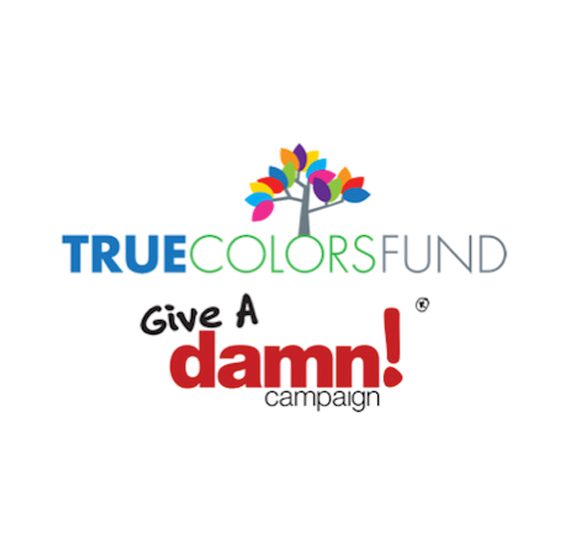 The Give a Damn Campaign, a project of the True Colors Fund, aims to inspire straight people to “give a damn” about issues greatly impacting the LGBT community, such as youth homelessness, workplace discrimination and suicide. The campaign’s impactful public service announcements have featured many prominent celebrities, including Whoopi Goldberg, Elton John, Jason Mraz and Susan Sarandon. Van Gogh sought out a partnership with the True Colors Fund, creating a sustained and consistent campaign to raise funds and awareness on behalf of the nonprofit. Chief among the promotions was Cocktails without Prejudice, a multi-year, on-premise initiative where accounts donated a portion of proceeds from Van Gogh cocktails to the charity and 100 percent of the proceeds were matched by Van Gogh. The Celebrity T-Shirt Initiative was launched with limited edition shirts designed by celebrities, like Cyndi Lauper, Chelsea Handler, Idina Menzel and many others, promoting messages of equality and acceptance. Most recently, Van Gogh participated in an online auction via Charity Buzz for an at-home mixology lesson with Master Mixologist Jonathan Pogash, The Cocktail Guru. Later this summer, Van Gogh will invite consumers to take a “selfie” in their “glamest” in support of giving a damn in the Gogh Glam For A Damn Photo Contest, where the grand-prize winner will receive an all-expense paid trip to New York for the Home for the Holidays benefit concert. This year will also mark the 4th Annual Cyndi Lauper & Friends: Home for the Holidays benefit concert. The star-studded performance will take place this December in New York City, where 100 percent of the net proceeds will benefit the Forty to None Project, which aims to bring an end to lesbian, gay, bisexual and transgender youth homelessness. Home for the Holidays has quickly become the signature event for Cyndi’s True Colors Fund and Van Gogh is thrilled to be a supporter for the fourth year in a row. The True Colors Fund was co-founded by music icon and longtime activist Cyndi Lauper to inspire and engage everyone, particularly the straight community, to become active participants in the advancement of gay, lesbian, bisexual and transgender equality. For more information, please visit www.truecolorsfund.org. Van Gogh flavored vodkas (SRP $27/750ml) are crafted in small batches by Master Distiller Tim Vos of the Royal Dirkzwager Distilleries (which received a Royal Appointment from Queen Beatrix in 2005) at the Cooymans Distillery in Tilburg, The Netherlands. The Van Gogh Vodka portfolio includes 22 authentically flavored vodkas: Açai-Blueberry, Banana, Black Cherry, Citroen, Coconut, Cool Peach, Dutch Caramel, Dutch Chocolate, Double Espresso®, Espresso, Grape, Mango, Melon, Mojito Mint, Oranje, Pineapple, Pomegranate, Raspberry, Rich Dark Chocolate, Vanilla, Wild Appel, and PB&J – whose pure, refined flavors are expertly infused in a proprietary process. Van Gogh also produces the exceptional Triple Wheat Van Gogh BLUE Vodka (SRP $29/750ml) and a Gin (SRP $27/750) whose finishes are smooth and delicate. on Twitter at www.twitter.com/VanGoghVodka, on Pinterest at www.pinterest.com/VanGoghVodka, and Instagram atwww.instagram.com/VanGoghVodka. For more information on The True Colors Fund, please contact Gregory Lewis at gregory@truecolorsfund.org or call (917) 855-2533. For more information on Van Gogh Vodka, please contact Rebekah Polster at Rebekah.Polster@padillacrt.com or call (646) 218-6039. For more information on Van Gogh Imports, please contact Amy Mironov Janish at amy@vangoghimports.com or call (646) 469-4450.